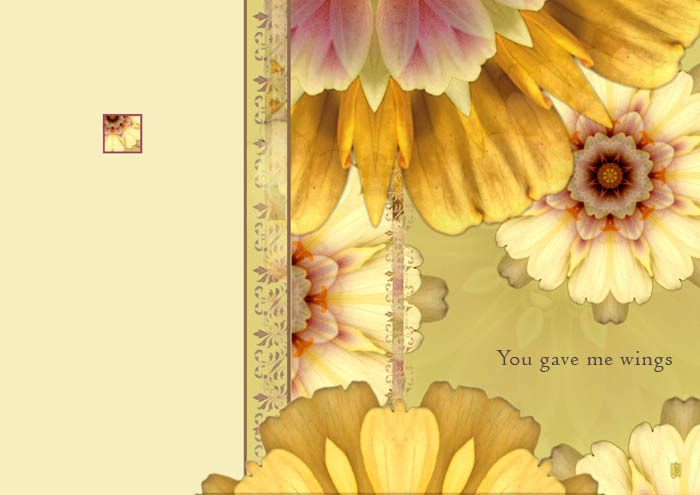 Just realized that some of my card designs published by Calypso are available online at Jack Cards (go to page two and scroll down the page to see the Mother's Day card above). The inside greeting is: "Thanks for always believing in me, mom. Happy Mother's Day". There are also a few birthday cards and a care/sympathy card. You can see the sympathy card, here, called Circle of Love. I no longer have an online retail store, and when I hear from someone who doesn't have a store in their area that carries my designs, or Goldenflower cards, I don't know where to send them. There are three birthday cards scattered through the birthday section.